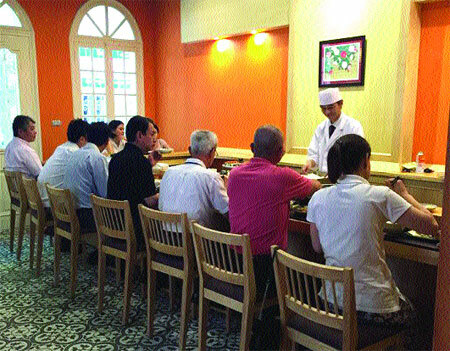 A Japanese restaurant in downtown Ha Noi imported its sense of calm, style and flavour from its home country. Ha Nguyen reports. It's located on the bustling food street of Trieu Viet Vuong in downtown Ha Noi, but Japanese restaurant Kyo Kiyomizu seems a bit quiet. When we arrived at the restaurant last week, a server in a kimono greeted us by bowing, Japanese style, and led us down a small macadam path that was laid with attractive marble before we entered. The restaurant was packed, but as soon as I stepped through the door my immediate impression was of clarity and fashionable simplicity: from the simple and fresh colour schemes to the breathtaking panoramic view of the restaurant. Even the crockery harmonised with the decor - displaying cracked green glaze mirroring and fresh emerald bamboo cross-hatching on the white wall. On the other wall are Japanese paintings. I was interested in the painting of Mount Fuji, which is a theme in Japanese paintings and photography, as well as literature and music. While I was truly enjoying the painting, the server came up to invite me to take a seat to begin our dining. I wondered if the menu would be as impressive. It was certainly extensive. Flicking through the pages, a wide variety of culinary delights, enlivened with pictures, passed before my eyes, including appetiser, salad, soup in a cup, sliced raw fish "sashimi" and many others. A wide variety of tastes are catered to the customers, said restaurant manager Pham Diep Hoa. We began our appetiser with boiled unpinned soybean with hull "edamame" (VND30,000 or nearly US$1.5) and cucumber dipped in unrefined soybean (VND125,000 or $6). The soybean was so meaty and delicious that I was intending on ordering more, but Hoa recommended that we try tofu wrapped mushroom bites (VND135,000), a few fresh spring rolls not fried (VND65,000), and salad (VND250,000). The tofu-wrapped bites were very good, while the combination of avocado, mango, spinach, green bean sprout, aromatic herbs, carrot and cucumber was light and refreshing, and it combined well with pesto sauce. I agreed with Hoa when she said that the restaurant refreshes customers with its symphony of delicious and tasty dishes, which are all designed in a beautiful style. As a result, we were excited to move on to the main courses: 5 kinds of assorted sliced raw fish 'sashimi' (VND1.1 million/dish). It looked very appetizing, because all are fresh, prepared with colourful ingredients and beautifully designed with fresh turnip, perilla, salted ginger and basil. I took the first piece, dipping it in a small bowl of mustard soy sauce. I experienced its being fresh and sweet, although my nose was almost burning from the mustard. While we were enjoying the dish, the server brought us a plate of grilled foie gras with stewed radish in Dashi soup (VND630,000). At first glance, I thought it was fried fish, because it was fried and dipped in a delicious special sauce. I tried a piece and found that it was tasty and had a fragrant flavour, similar to what I had once eaten at a restaurant in France a few years ago. 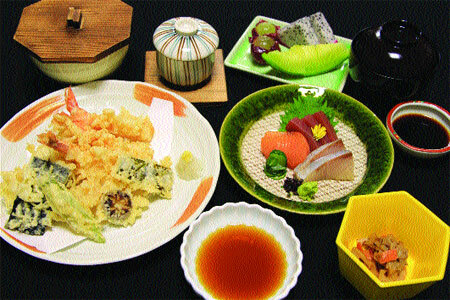 Hoa told us that her master chef, Kenji Shimizu, was trying to cook in the Japanese style, while also keeping its original taste. Piping hot: Steamed, tasty Matsutake mushrooms in Dashi Soup. The foie gras is so greasy, and as soft as silk, making it a quintessence and top-ranking national food of France that had been recognised as a cultural heritage and protected culinary by the country. After foie gras, the server offered us grilled marinated cod fish (VND270,000), assorted tempura vegetable (VND70,000), rice, Miso soup and Japanese pickles (VND40,000). Comment: Good and fresh food at reasonable prices, starting from VND30,000 (US$1.5); friendly and fast service, including take away and delivery. All of these dishes were enjoyable. I asked chef Shimizu, 52, who had been master chef of Nikko Ha Noi from 2005 until 2013, and at Nikko Sai Gon until early 2015, about whether he cooks Vietnamese dishes. He said he had been interested in cooking traditional spring rolls, a national spirit food of Viet Nam, since he co-operated with another Japanese to open the 100 percent foreign-invested Kyo Kiyomizu restaurant in April this year. 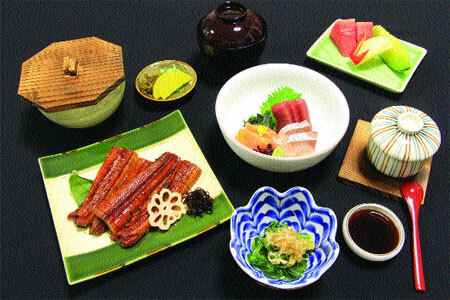 "Japanese and foreigners are interested in this food so much. 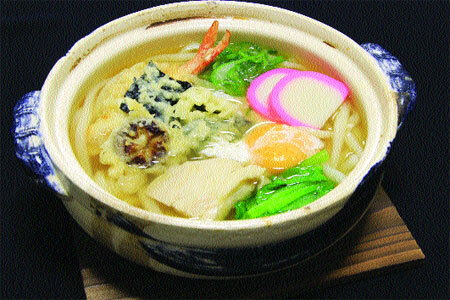 Many of them often order the dish while they are at my restaurant," said Shimizu.